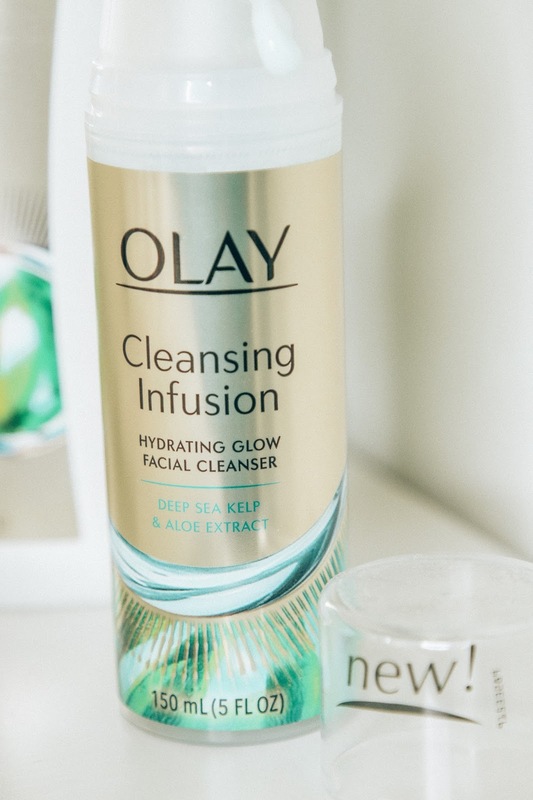 This post is in partnership with Olay, A brand I love. All options are 100% my own. 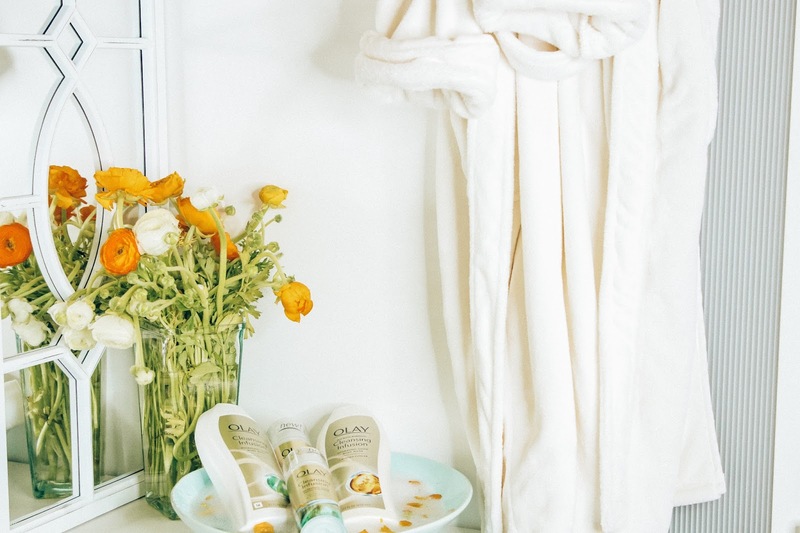 Coming to you straight from my bathroom today and sharing with you what's new in skincareland. 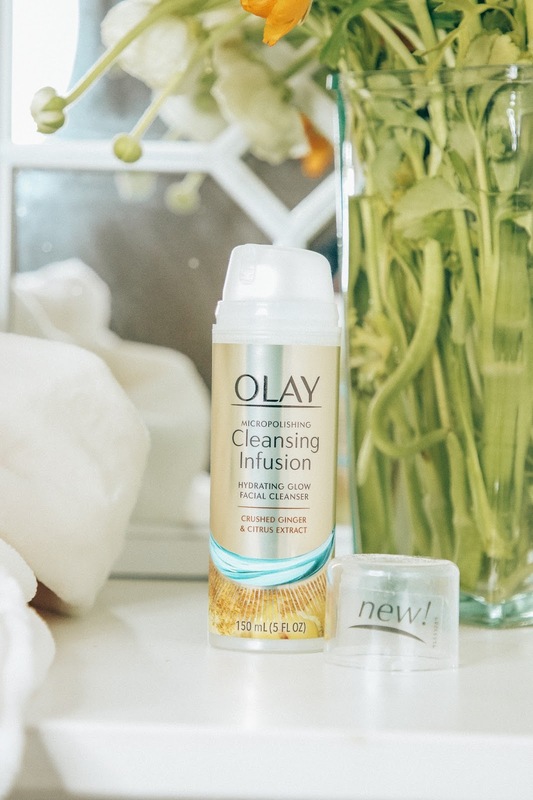 Well, Olay isn't new but as soon as I add products I'm always compelled to share them with you. 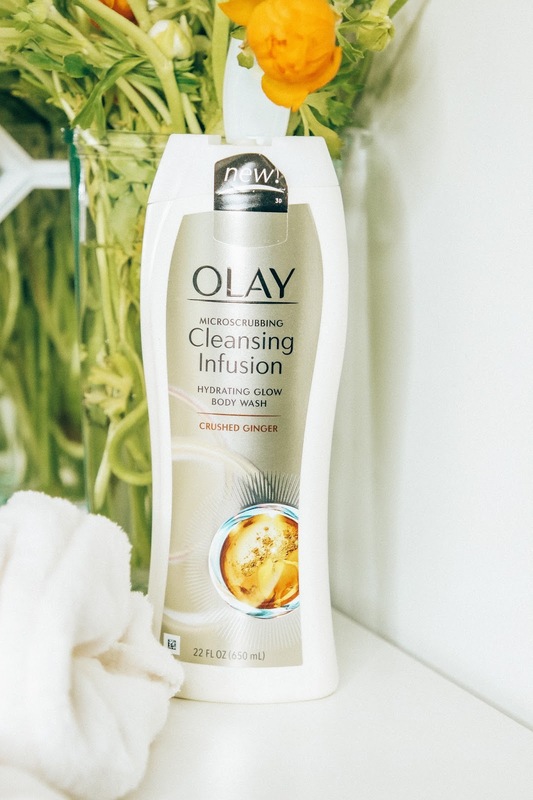 In my long-standing partnership with Olay, I figured I'd pop by and share their Cleansing Infusion line, the very first Olay Cleansing Infusion for both face and body. Yes, you heard that right. 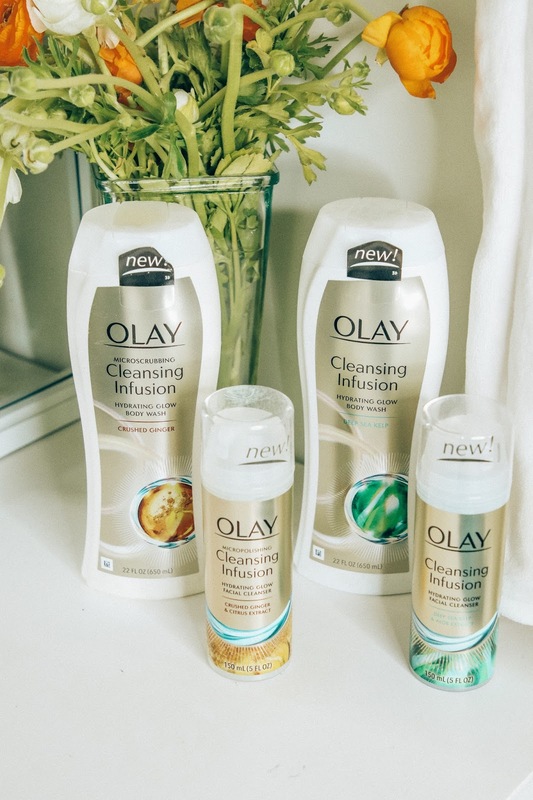 I was so excited because I am on a journey to perfect skin for my upcoming wedding and my trust level in all things Olay is extremely high because they never disappoint. Never! 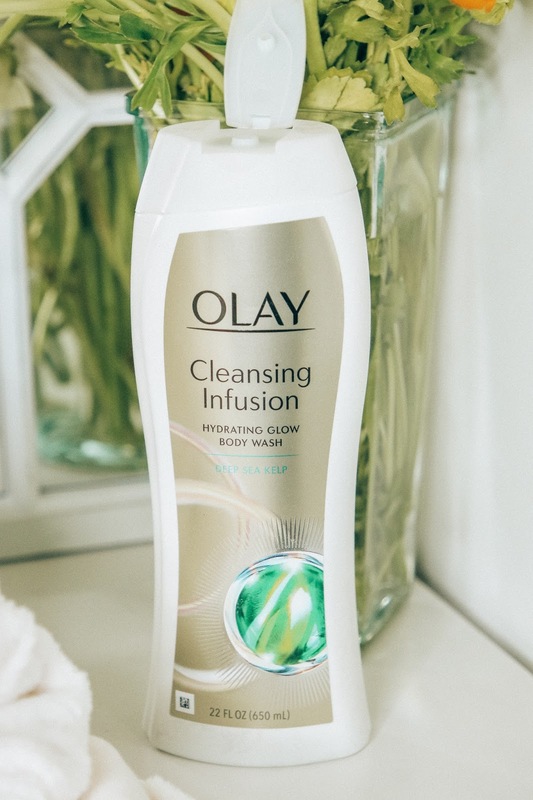 This and many other reasons are why you will always find Olay in my home. This line of cleansers has been drawing out all the impurities out of my skin yet still replenishes with massive hydration. 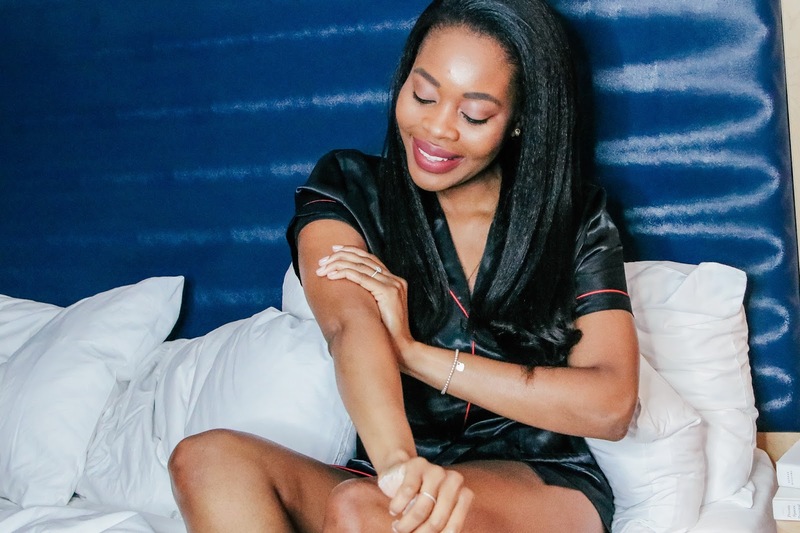 This combination is perfect to bring about naturally glowing skin. Plus, as I get older it is really important that I am cognizant of how I take care of my body in the most wholesome way. 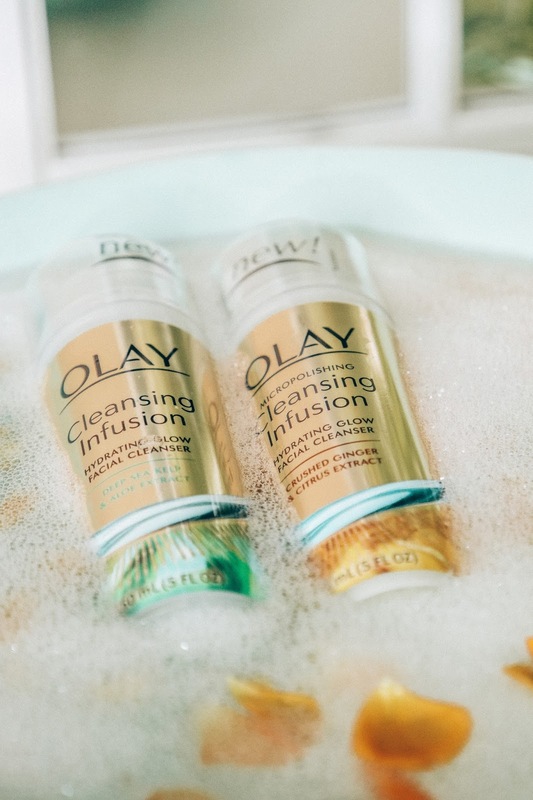 Major thanks to the Olay Gods for coming through for us beauties (and beasts) with this Cleansing Infusions line. 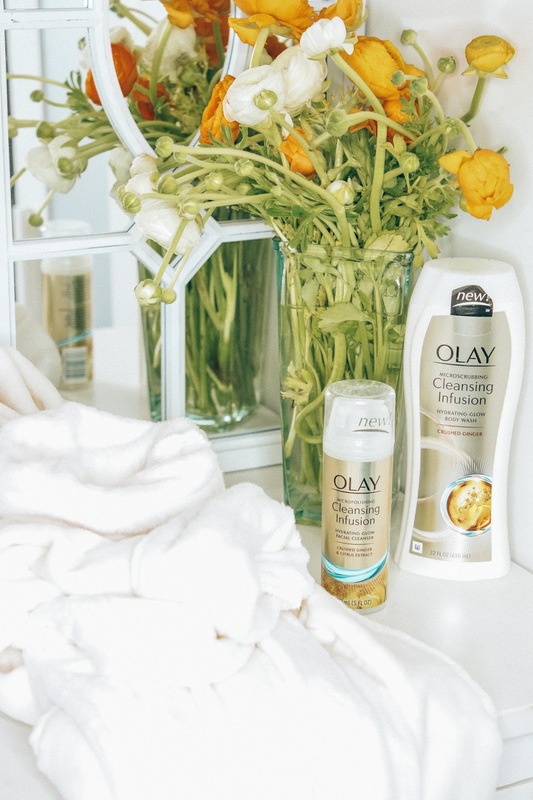 You know what I also like loves, the fact that Olay body washes are massive and last forever. I also love the creamy lather. Talk about bang for your buck and then mix that with glowing skin. Totally winning over here. Oh, let me not forget to tell you about the scents ya'll. Both Deep Sea Kelp and Crushed Ginger scents are refreshing with a subtle aroma. They have a spa like aroma which makes everything feel, and smell great after getting out of the bathroom. Am I the only one who love to wash their face in the shower rather than the face basin? I always feel so free to splash water all over giddily in the showers as I wash my face. Well, off I go, Loves. Make sure you try these goodness and let me know how you like them because I know you will. You can shop them here. Now, who's ready for the #glowup? !